Both Blockchain and IoT are among the most significant technology trends in the world nowadays. They are being constantly researched for multiple implementations across varying business industries. For someone who has just discovered these technologies, it could be odd to see them in combination. However, Blockchain and IoT can be combined, and the results could be breakthrough-worthy. While Blockchain is being studied and implemented beyond the concept of cryptocurrencies, IoT also has its significance for multiple industrial sectors. As big data makes its way and business infrastructures increases in complexity, security becomes a major issue. Blockchain’s decentralized system can bring better trust and security to the IoT devices when both technologies are combined. This is why, for some time now, tech experts have begun to see Blockchain in the context of IoT. IoT is all about the distribution of multiple devices. Therefore, it makes sense to combine it with a distributor ledger technology like Blockchain. This will help track how the connected devices interact with each other. Records will be kept not only about the interaction but the state of the devices and how to handle them. Additionally, Blockchain was initially designed for applications that make use of transactions and similar interactions. This could help implement the concept of smart contracts for devices that are based on IoT processes. For example, a transaction will automatically complete only when a particular condition is met. This could be the condition and quality of goods. If such a combination of Blockchain and IoT could be established, it will be possible to improve the compliance in IoT devices as well as enhance the IoT features and their cost-efficiency. How will Blockchain Improve IoT? While many tech companies are already taking initiatives of involving Blockchain into IoT, it is still not a concept that has been implemented far and wide. Although, it is still evident that Blockchain technology could improve IoT in multiple ways. 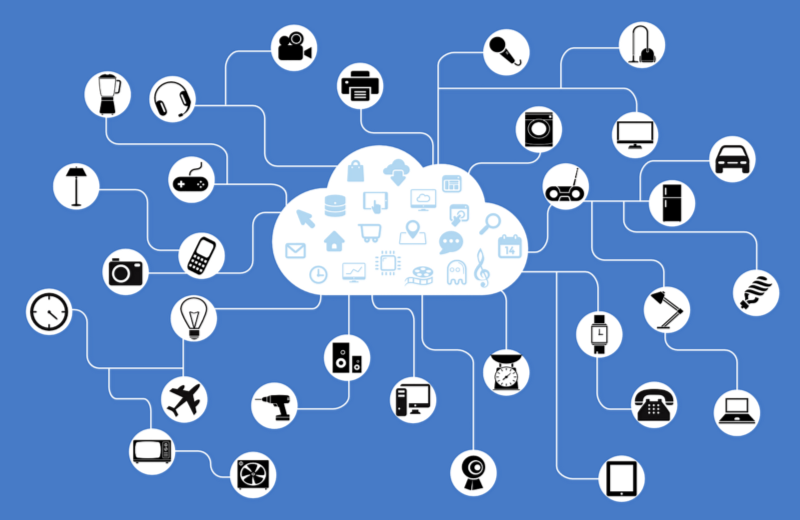 Trust building is vital in IoT processes as devices across multiple spaces are connected. The more complicated the system becomes, the more trust will be required. Using smart contracts, the burden of finances and accounting could be reduced for those operations that are involved in IoT devices. Data has become a major player in the success of varying businesses. Not only companies now depend on big data but real-time data. With Blockchain and IoT technology combines, data exchanges could accelerate. The combination of the two technologies could allow the scalability of the security. Varying industries have their security requirements, and these become more demanding as systems become maximized and more complicated. Blockchain for IoT could help manage this problem. If the future includes the combined power of Blockchain and IoT, it could solve a lot of arising security issues. Any kind of data or a piece of property will be capable of being exchanged over a secure, reliable, and time-verified channel. LuxTag enables businesses and their customers to protect authenticity & ownership of their valuable assets by providing digitized certificates using blockchain technology. At LuxTag, we see a great opportunity to reduce costs of current systems and bring a new service to market that has not existed before. Proving this is very well possible, we have created a blockchain-powered application to cater the market of anti-counterfeit, ownership tagging, track & trace, and manufacturer big-data, serving different markets with ready to implement solutions. As of today, the catered industries include Fashion and Apparel, Jewelry, Documents, Luxury, and Art.